I listened to the Maggie Rogers review and was dumbfounded by how narrowminded and ridiculous you sound. Jon asked, "Pharrell, have you never heard music before?". Are you serious? He has multiple Grammy's and has recorded in various genres. Yes, he's heard music before. He wasn't comparing Maggie with Wu-Tang, as if they are "the same". He was referring to their uniqueness. No one in America is really doing what she's doing. PLUS, she stood out from the other students he had just listened to, providing constructive criticism. Telling them to find their own sound, as they each came off as carbon copies of artists they admire. When he heard Maggie's song, also a student, he was blown away by the lyrics (he complimented her folk background) and the structure of the song, from the beats, to the harmonies, and the break. "Alaska" was exactly what he was trying to convey to the rest of the class, in that it was unique and it was her own thing. Also, it doesn't matter how many times you've listened to the song, it's still a great song. Yet, these clowns want to talk about everything but, like gossipy mean girls. If you enjoy listening to pretentious, narrow-minded podcasters who think they're funny, this one is for you. If you prefer reviews with substance, skip this and find something else. I super love that Jon C can have fun moments about Charlie Puth and then also go in with reporting on latest episode about Ryan Adams. Keep it up fab people! This podcast is excellent. Extremely knowledgeable people discussing and dissecting the current Music landscape. Caramanica (the host) is great and smart. Coscorelli (reporter on sometimes) is beyond excellent. Cannot recommend it enough. I even listen to episodes about topics I don't care about just to hear their take. I really wanted to like this podcast but it’s very cringey listening to Jon using AAVE. Like I get it your a hip-hop fan but for a 43 year-old, white guy it just comes off as you’re trying too hard to prove to black people that you’re “down”. I also tried to get into your actual NYT articles and lately every other article is about Cardi B. I can’t wait until Wesley and Jenna come back from their hiatus. Jesus Christ i’ve been trying with this podcast for a while but the only episodes i like are the ones with Wesley Morris, who is actually a good podcaster because he explains what he’s talking about. Jon Caramanica assumes you have the knowledge of a music critic when it would take like 5 seconds to explain everything he is assuming you know. Once they called Miasma the sound of 2018, and I found myself frantically googling to figure out what that meant, that’s when I knew to Delete from Library forever. But not in an obnoxious / pretentious way. 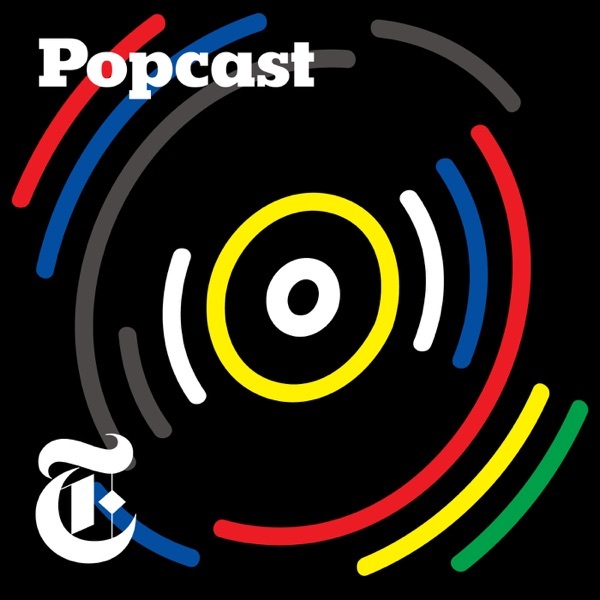 Ily NYT popcast! ....the host would recognize that the podcast is NOT about him. So many interesting artists and topics, and lots of fantastic guests, but the host just keeps getting in the way, always making it about himself. Too bad. Sometimes I just have to skip forward because of this, and occasionally I couldn't listen the whole way through.But at least we get to hear some Jon Pareles (who most definitely is there to talk about the music an NOT himself). Ok but what about arctic monkeys, no mention of them!? They have been the most successful and experimental rock band of the last 10 years. Each album number 1 in the UK, many accolades more recently 2018 mercury prize - sold out concerts all over the globe. Alex turner is the most compelling write and lyricist, his your rock star - he s a method actor he becomes a new character with each new album. I love music and love the chemistry and passion of those discussing the various music related artists and topics. Always insightful and an entertaining listen!! I’ve tried a couple of times to listen to this podcast, because the guests have a huge depth of musical knowledge and I’d love to stay up and what is current. But the host of the show is absolutely intolerable. He inserts himself into every guest’s comments, always bringing it back to him and fancying himself a comedian– – who cares?? And he embarrasses himself trying to be hip, throwing out phrases like “that’s fire” and “ cool AF” unsubscribed. ok love you guys but I’m 54 and referring to aretha at that ages as an old lady (w/ nothing left to give the world) was just inaccurate and, frankly, mean. i have plenty left to give this world. In your most recent popcast on Nicki Minaj and Travis Scott, you mentioned a fellow podcast “penny something” about the music streaming industry. Would you happen to have the full name of that podcast? I love your show! You provide a great cultural insight into a lot of the nuance of the current music scene. Keep up the amazing work! Popcast: Lover of Drake. Likely to be the popular opinion. Don’t expect much nuance. I still enjoy listening however. The first time I image searched the host and the voice fit the image, whatever that means, take it as you will. I am shocked that this is a New York Times production because clearly the audience is only for people deeply interested and invested in the intricacies of the pop world and the internet. I’m 34, so I’m technically a millenial, and I’m very interested in music and culture, though typically more alternative than pop. I have no idea what the people on this podcast are talking about half the time and it makes it almost unlistenable. For example, the latest episode is on stanning and clap back culture. I didn’t know what either of those things were and they were never explained so it took several minutes of confusion and inference to figure it out, meanwhile they have moved on to talking about Stan armies by name without mentioning the celeb they are a fan of until 20 minutes later. Maybe this podcast isn’t aimed at people like me, but it’s frustrating because clearly the hosts have a diverse, thoughtful, and educated view of pop and I would love to hear their opinions if only they’d take the time to start with the basics and go from there. This podcast has been consistently excellent since capt. caramonica took the rudder full time a couple of years ago. Salty banter but great structure and the quality of criticism you would expect from the NYT. Keep up the good work, popcast crew. I love this pod. The interactions because Joe and Jon are great, Karen is great. Just listened to the Pusha T & Drake episode unpacked - yes I’m behind a bit - but it was fantastic. Joe and Jon know what they are talking about and I love listening. This podcast promised to go over modern pop music, but the hosts spend much of their time criticizing in a pretentious way without actually analyzing the music itself. Also, the podcast is censored, making it harder to take seriously. I’m unsubscribing now, and will just listen to Switched on Pop instead. You’re better off listening to Song Exploder and/or Switched On Pop. These shows are much more insightful with actual musical examples—what a concept! Jon Caramanica has a nice radio voice, but I find his personality profoundly grating (grating enough that I felt the need to review this podcast). His “sense of humor” is so smirky and self-satisfied and his use of hip-hop vernacular is extremely labored as he desperately tries to prove to his listeners and guests how clever and hip he is. He sometimes has good insights, so I imagine he is a good writer, but listening to Caramanica is annoying on a good day and exhausting on a bad one. The Times’ chief music critic Jon Pareles is great, but he is rarely on the show these days. On one hand I like a lot of the topics on this podcast. And I like some of the guests. But the host epitomizes everything wrong with the hipper-than-thou critic stereotype. I can’t listen to more than one episode every month because of him. These two guys seem to have really missed a lot in the Timberlake backlash. I think it would’ve been smarter to include a black voice in that convo. It started when he began tweeting condescending things toward black ppl on twitter. That was the start of his downfall, those of us that let him cook in the past we’re done with him after that. It’s also a matter of him using black artists/music are validate his brand but not speaking up for causes that are important to black ppl politically (same category as Iggy). What he got away with in terms of throwing our legends under the bus or speaking ill of them ie. Janet and Prince, folks felt the need to let him know he was cancelled. Certain consciousness is raised especially regarding the sexism that influenced the Janet/Justin Super Bowl backlash he’s just not gonna skate anymore. Please keep these hosts and cool it on the Caramanica. So tired of that guy’s voice!! More women please!! Here’s the thing- when Popcast has a good episode, it’s fantastic. The bad news is good episodes are fairly infrequent. My main critique is directed at how indulgent the show is. It revolves around the interests of Mr Caramanica- which is fair since it’s his show, but it’s led to me turning off most episodes after 15 minutes. One could play a drinking game based on mentions of SoundCloud and wind up in the hospital. However, I do still subscribe and I still listen occasionally. This is an alright podcast that could be so much better with a bit more attention to “pop,” to offset all the niche topics. Simple: best music writers in the business going off on the topics they love. I listen every week. Just what the world needs - another show with two old white guys critiquing music. Yawn. After giving this podcast 7 or 8 months to win me over, I just can't do it anymore. The hosts go beyond lacking knowledge, and often veer into bad knowledge. The subject matter is narrow on its best days which would lead you to believe they would at least know a lot about the thin slice of music they cover, yet they can't even handle their area of expertise (rappers named Lil and Soundcloud). The only episodes that are worth listening to are ones where other writers from the NYT music staff appear and that's not nearly enough. The episode about whether or not Soundcloud is a business or a community may have been the most ill-informed discussion happening outside of the Oval. That episode's subject had everything you could ask for to have an in-depth and informative conversation. They simply didn't know what they were talking about, and instead created a false narrative that serves no purpose towards understanding what went wrong and what needs to happen in order for SC to be a successful business model AND community. Time for a re-boot. I honestly really want to like this podcast but I find the host both condesending and quite rude to his other pannel members. He's interrupted every woman that I've heard speak on the show, and while I understand that the NYT thinks of itself as 'high-brow' this feels like a music critics circle-jerk in the most insufferable way. The podcast is well produced and has some great guests on it, but the name "podcast" is extremely misleading. I was looking for a podcast focused on Pop, but was disappointed to see so many episodes dedicated to Rap, Rock, Hip-Hop etc. Didn't really like the main reviewers or lots of the music they've reviewed. Sound Opinions and All Songs Considered are better. The best was the late The Needle Drop. I learn so much about music every time I listen. I also lol a bunch. A true gift for music nerds. Jon Caramanica et al cover just about all genres and all artists in the round. I've discovered new music, as well as gotten great insight into music I was already familiar with it. Mostly I love that most of the discussions stays in positive territory. Listen; you won't regret it. By far the best discussion I've ever heard for any album. It's entertaining, but they often bring up appropriation. It kinda feels out of place sometimes. When the Popcast exposes you to new music and the social context of music, it succeeds wonderfully. But the ratio of actual music played to comments made by the hosts in a strenuous effort to sound cool is increasingly lopsided towards the latter. On one of the most recent episodes (“The Return of New York Rap”), there weren’t any samples of the songs the hosts were discussing until 25:53. It’s moments like these where the Brooklynite hipsterism of the program risks leaving behind listeners who may not have a great deal of exposure to an artist or genre. (“Haven’t heard of X artist? Do you even know what bars are, bruh?” as host Jon Caramanica might say, like a parent trying just a little too hard to sound cool.) That’s unfortunate, because this show has the potential to make music more accessible to a broad audience but often doesn’t. More sampling, interviews, and accompanying show notes would help it fulfill that promise. This feels long. And it’s less than an hour. Yes, what is suppose to be the ideal podcast time feels stretched out by mansplaining mainly hip-hop. NYTimes usually does it right. And most of the titles seemed like things that I would enjoy, but… Unfortunately, the overanalyzes becomes drab and annoying without SOUL. It seems like a very detached observation of rap/hip-hop and sometimes the music industry. Always helps me think critically about music. Smart guests and hosts. Wish they'd play a bit more of the music they're discussing. I've recently discovered this amazing podcast from an interview Ben did form about he podcast I listen to. What continues to impress me is the breadth of music covered and how interesting the conversations are. I have listened to a couple of these—those on Joanna Newsom and the influence Kanye’s 808—and am struck by the inquiring minds and sparky, playful conversations. … why are there no female talkers on this? The music-bros talking to other music-bros thing on here is conspicuous and really kind of embarrassing. Expect better from the NY Times. Jon Caramanica is a legend and I routinely listen to him discuss musicians I've never heard before because he's so good. Massive fan.